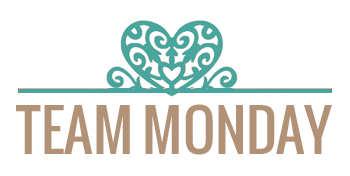 La-La Land Crafts Inspiration and Tutorial Blog: New Rubber is in Da House! I used the fancy marci in my christmas layouts. And I have used both sugar n spice and sweetheart marci for birthday cards. Amour Luka can be used for an anniversary card. The possibilities are endless. I can picture Darling Marci in Spring layouts maybe even an easter spread. 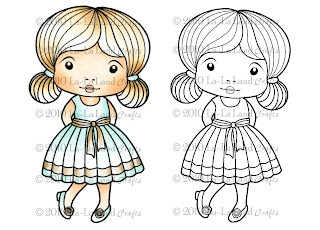 Love these cute images, just getting into using Copic markers and have been searching for images perfect for them.....nice! Pity I'm too late for the competition. Irina, thank you for dropping by my blog and updating me. Thanks also for your comment. I'm sure the date was 9th Jan when I first left my comment....maybe it's just been a long week! LOL So yes, I'd love to be in the draw for to win thos adoreable sweet images, Marci looks just like my 2 year old Grand Daughter.....sweet and innocent and too cute for words! I am new to stamping and these are so cute. I love the fact that they are transferable and can be used for any occassion. Thank you for a chance to win such stunning stamps and they would have endless possibilities. Anniversities, birthdays, christmas, good friends, thank you etc etc. I just LOVE these stamps, there soooo cute! i think i would use the sweetheart for invitations for my daughter her birthday. sugar n spice i would probably use for my auntie her thank you gift, i would like to give her an baking workshop so that would fit perfectly. 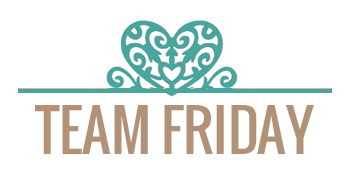 OMG OMG I would sooo love LOVE to win all these gorgeous new release!! They are all so supah sweet! 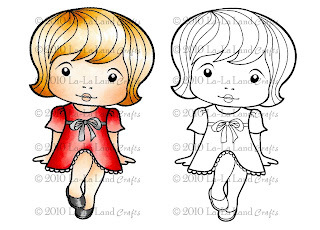 Absolutely adorable images...other than Valentine's cards I think Sugar and Spice Marci could be for a birthday; Sweetheart Marci could be for a lunch box note; Formal Luka and Fancy Dress Marci could be used at Easter time. All of them look very pretty!!! I think I can use them for birthday and aniversaries cards. And also for some friendship cards all year long... and thank you cards... endless possibilities!!! First time stumbling on your site and fell in love instantly. I would use these stamps for engagement announcement cards (D Marci and F Luka), wedding thank you cards (D Marci and F Luka), baking day invitation (SnS Marci), birthday cards (FD Marci, SW Marci), anniversary cards (A Luka), graduation cards (D Marci and F Luka)....endless possibilities really...jar/bag toppers for baked goods (SnS Marci), birthday party invitations for girls (FD Marci). JUST FOUND YOUR SITE THRU 'CRAFTY MAKES' and really like your cute kids--your stamps can be used for most any occasion. I especially like them because most of my cards are made for sick, hospitalized children thru 'CardCupids.Org. Your stamps would be perfect for them. Oh.My.Word!!! These are all SO cute! I would use that Sugar and Spice Marci for a thanks for dinner card. Love them! Awwww! They are all so adorable! I can definitely see them used for anniversary cards, but also for sending your love to someone on their birthday! These images are very universal and could be used for many occasions - including just an "I wanted to say Hi" card! Just revisited the site to have a look around and realised I'd missed mentioning the sort of projects I'd use the stamps for! Duh! I'm awake. LOL. Fancy Dress Marci and Formal Luka are all in their Sunday best so obviously on their best behaviour. I'd use them individually and together in Scrapbook layouts for Highschool dance/graduation, Engagement or Wedding. On Cards for the same events. I think I can hear them saying a formal thank you as well. Oh they are also sending out an invitation to an event, how charming. Darling Marci is saying all sorts of things like Get Well, Thank you, Happy Birthday, thinking of you...the list is endless. Sweetheart Marci....she's saying it all with love...so I'd use her for thank you, birthday, I miss you, I love you, engagement and wedding cards too with the right sentiment. Now sugar n spice marci is all business, she's cooking up a storm for someone special so she's the one who is saying here's a cupcake....I made it for you, I hope you feel better, I want to say thank you, I love you, You're my best friend. Ahhh Amour.....Luka is such a sweetie, he looks just a little hesitant just like a young man wooing his sweetheart might be. He is of couse going about it the right way.....chocolates and flowers and that Bow Tie! Apart from valentine...he's saying I miss you, thank you. He'd also be great teamed up with Marci, fancy dress Marci and Darling Marci for those couples cards. 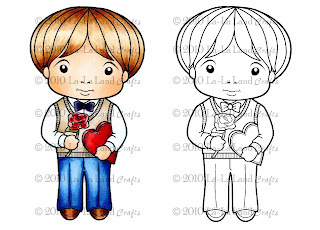 OMG OMG OMG.......I love love love ALL of these images.....I come on to your site every day but it takes such a long time to down load and I do not know why but I wait for it because I just think your images are so cute and would be much fun to color. I LOVE these rubber stamps!! I think I would use them for engagement cards, wedding invites, dance recital invitations, cards for Teachers....the possibilities are endless!! The new releases are adorable!! LOVE ALL OF THEM. Let's see, other themes for Marci and Luka to celebrate could include: Easter, school days, prom, traveling, cruise ship, horse back riding (could you see them in polo attire...cuuute), St. Patrick's Day, and Fourth of July. Thanks for the chance to win a set. These are wonderful! I think they'd be great for anniversary (or wedding congrats) and birthday cards, too! Lots of possibilities! I have been longing for these stamps for a long time. I am excited to see them in rubber. I dream of using them for weddings, graduations, birthdays, and especially for the birth of my first grandchild!!! OH MY GOSH....a chance to win all 6...WOWZERS!! I hope I win, I hope I win, I hope I win! Your stamps are the cutest and of course I want them all. I just started coloring some up and they are wonderful! My plan is to get them on a card this year!! Yippee!! All the images are so adorable. I just love all the cards too. You could use them for weddings, birthdays, anniversaries, and tags. Thanks so much for a chance. I think they can be used for everything. They all are so cute and wonderful. As soon as you change color it looks like a different stamp. I also think it will be great fun for the kids to use when they make cards for friends. There are so many uses! 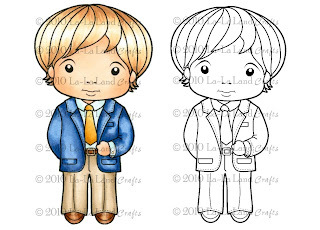 Fancy Dress Marci and Formal Luka would be great for prom night layouts, wedding cards, or even a wedding cake topper. Sweetheart Marci, Sugar and Spice Marci and Amour Luka would work for birthdays or mothers' day. Darling Marci is perfect for generic cards - have a nice day, thinking of you, etc. I would use these stamps all the time. I love them! Wow! What wonderful "candy" you are going to give away. Besides using these stamps for birthdays, thank you, weddings, anniversaries, graduation, get-well, and hello cards, I think I would like to use Formal Luka to make a congratulation card for my son that just got engaged. All of your stamps are so cute. I would love to take Amour Luka to make a card for a gentleman to ask his love to marry him. You could put a ribbon from the heart and tie the ring to it. Sugar and Spice Marci you could make a album with her on the front with recipes for a new bride. So many uses for all of your stamps. Formal Luka would make a great card for First Holy commuin for a young boy. and Fancy dress Marci would make a wonderful Birthday card for a little girl. I just think your stamps are wonderful. These are adorable and it would be great to win. I don't have any young ones in my life at the moment but my friends are beginning to have grandbabies. They would be great for cards for them as they grow. These are all SO cute! I think you can use them for so many different things! Why not a wedding card? Fancy Dress Marci and Formal Luka side by side forever...how cute would that be? There are so many other things, too! Graduations, birthdays, thinking of you, thank you cards, friendship cards, and don't forget about secret admirer notes! There are so many different things you can use these awesome stamps for, someone is going to be a very happy winner!! These are so adorable. Again you have done a wonderful job. I would use the Fancy Dress Marci for a kindergarden graduation card. Formal Luka as a thank you card for the ring bearer at a wedding, Darling Marci for a Birthday card for a girl around age 10-12 cause Darling marci looks like a young lady, Sweetheart Marci for an Anniversary card, Sugar and Spice Marci in my scrapbook for when I started to teach my daughter how to bake, and Amour Luka for a Wedding card or if a man would like me to make one for his wife or sweetheart as a Birthday or Anniversary card. Ohhhhh! So many ideas. What great stamps you make. I don't have an account with google that's why I'm anonymous. I'd use these stamps for Mother's Day for my 4 "mothers" - my own, my in-law, my step, and the mother of my best friend since 6th grade who still calls me her California kid. Also, Formal Luka would be nice to use for my son's "graduation" from preschool - although I could also use it on a scrapbook page with his photo. WOW, these are sooo cute and could be used for any kind of card. Birthday comes to mind as that seems to be what I make a lot of. But Wedding, Anniversary, Mother's Day, Just Thinking of you etc. etc. I adore Marci and Luka - they are so cute! I would use Fancy Dress Marci or the Sugar N'spice for a tea party invitation..
Amor Luka is P-e-r-f-e-c-t for mother's day card! Thank you for the sweepstake! 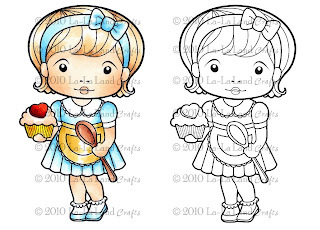 I'd want to ink 'em up straight away, especially the little Sugar n' Spice Marci whose cupcake looks just yummy! I have a cousin who runs a cupcake-bakery and I don't get to see her so often - it would be perfect to send a card to her! Hi, I love all these stamps and could think of loads of things to use them for like anniversaries, birthdays,engagements, weddings the list could go on and on; but I think Fancy Dress Marci, Darling Marci and Formal Luka would all be great for teenagers leaving school and going to their prom/leaving party. First let me say the stamps are PRECIOUS! I can see using them for several occassions....engagement, anniversary, Just to say "I love you", Christmas, birthday, and of course Valentines....Thanks for the opportunity to win. They are sooo cute! Got have them. These stamps are GORGEOUS! I could easily use them all year round, especially for birthdays and "just hello" cards. Fancy dress Marci and formal Luka could be used for First Communion cards. 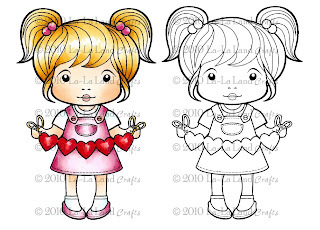 Sugar N Spice Marci, Sweetheart Marci, and Amour Luka could be used for Sweetest Day which falls in October. And Darling Marci, well she's just too darn cute. I would use her for lots of things!! Thanks for the chance to win! Wow I can think of many occasions. Weddings, anniversaries, birthdays! So cute! Thanks for the chance to win! Awwww, they're so stinkin' cute! I think they would make adorable Mother's Day cards! I absolutely love these stamps! They are so darn cute. How adorable are all these stamps! I've scrolled up and down at least 6 times to see every one of those cute faces... other than valentine's day you say? I could see me using the formal Marci and formal Luka for my young child's graduation and program cards or scrapbook pages. 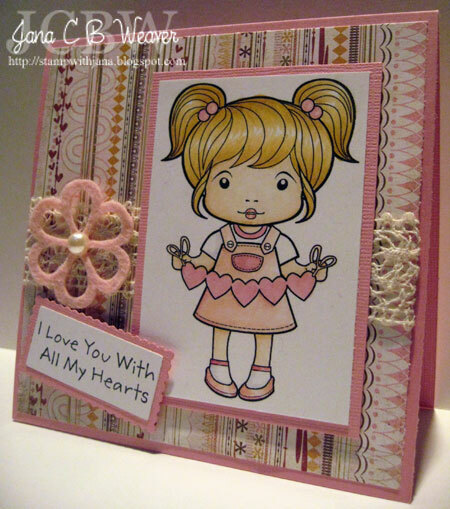 Even Sweetheart Marci could be for a "craftin' up something special" card. I see endless possibilities! Just Found your blog. WOW............. I love your stamps. My daughter loves to bake and Sugar and Spice Marci would be just perfect for her! I'd love to use it to design cards for her. I think that she'd also love cards with the other new Marci and Lukas. I got her Super Cupcake Marci for Christmas and she said it was her favorite gift! OH I WOULD USE AS MOTHER'S DAY!!! They are sooo darn cute. love them all!!! Oh, the sweet ones with hearts could be used for birthdays, anniversaries, engagements, Mothers' Day, etc. The others could also be used for many occasions including birthdays, anniversaries, to commemorate special parties, events or dances -so many uses, all wonderful stamps. I am the keeper of the data on my h.s. graduation class and can picture using the fancy dress ones in my school scrapbook. The Sugar & Spice one could be used to accompany home-made food gifts. I have a 30 year old son born on Valentine's Day and I would even use the heart ones for him as a combo card. These are wonderful and suit many purposes. BRAVO! These stamps are so darn cute!! I would use them for Mother/Father's Day, prom, thinking of you, birthdays, anniversaries, missing you, and the list is endless. They are very versatile! Oh these could be used for so many different holidays. Birtdays come to mind first. These are so cute! I would use Amour Luka for an anniversary card, also sweetheart marci would be cute for anniversary or mother's day. Formal Luka and Marci would be darling on a graduation card. Gotta love them all!!! !